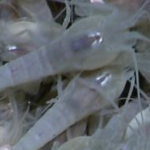 Off the coast of Okinawa, a slim stretch of land among Japan’s southern Ryuku islands, thousands of metres below the surface, there are the remains of extinct hydrothermal vent systems scattered about the ocean floor. 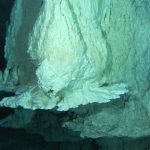 Almost 4,000 meters below the sea surface, in the southern Pescadero Basin, jagged ivory towers rise from the seafloor and emit hot shimmering fluid. 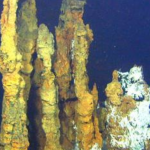 They are the deepest known hydrothermal vents in the Gulf of California. 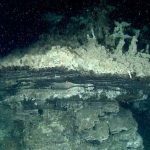 These deep-sea chimneys were discovered by MBARI scientists in 2015. The researchers call them the Auka vents. What’s intriguing is that these vents spew chemicals and host animals that are very different from those seen at Alarcón Rise, which is just 100 miles away. Once thought too expensive and too difficult, commercial scale mining of the deep sea is poised to become a reality as early as 2019. 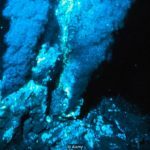 But scientists warn reaching rare minerals on and under the sea floor could cause irreversible damage to an environment that is still poorly understood. 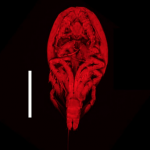 A deep-sea expedition to the Lost City hydrothermal field begins in September 2018. The Lost City is a beautiful seafloor formation whose unique scientific and cultural value has brought it under consideration for special protection by the UNESCO World Heritage Centre and International Union for Conservation of Nature. The Lost City is also featured in many studies on the origin of life and the search for life in the solar system. This will be the first US expedition dedicated to the Lost City since the 2003-2005 expeditions. 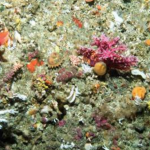 DURHAM, N.C. – An international team of researchers has developed a comprehensive set of criteria to help the International Seabed Authority (ISA) protect local biodiversity from deep-sea mining activities. These guidelines should help identify areas of particular environmental importance where no mining should occur. 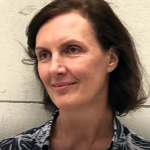 Professor Rachel Mills is a marine geochemist who studies the sea floor and hydrothermal vents, where water erupts from the earth’s crust at 360 degrees. Deep-sea mining is yet to become a major activity, and not much is known about undersea mineral deposits. 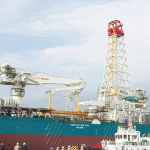 However, some in the mining industry claim that the deep seafloor could be host to an abundant, untapped resource of highly sought-after commodities that may be relatively easy to access once machinery has been developed to operate under high pressures in submerged environments and salty water. 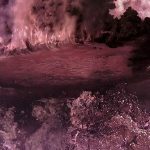 Deep below the ocean, several hundred kilometres northeast of New Zealand, lies the world’s most hydrothermally active volcano.